As more research sheds light on the dangers of a sedentary lifestyle, you may have heard the quip "sitting is the new smoking." While I don't think sitting for hours at a time is quite as harmful as pulling known carcinogens directly into your lungs, I'm glad that our insufficient activity levels are starting to get some attention. And some solutions. I'm particularly glad to see that some of these solutions are targeting children, setting them on the path for good health for life. But don't let these results fool you. They're just as applicable for adults. Rates of obesity continue to rise among children and adults. Children, like many adults, regularly spend hours and hours a day sitting at desks at school and then again in the evenings as they complete homework. We'd be outraged if our children were sent to school and handed cigarettes. But most of us think nothing of how much time they spend seated. 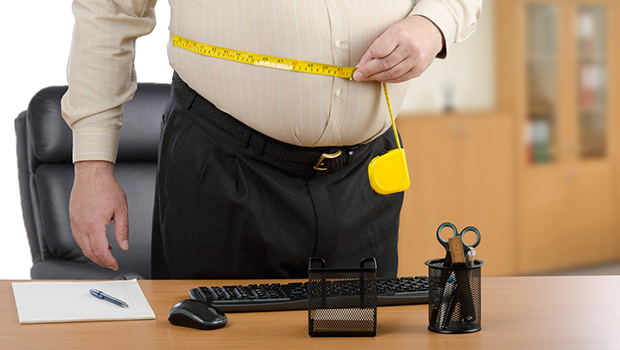 The good news is there's a great way to help anyone who works behind a desk avoid obesity. The Department of Environmental and Occupational Health at the Texas A&M School of Public Health may have identified a good option for helping these folks stay a bit more active during the day and maintain healthy BMIs. The solution is one you may have seen. It's a desk you stand up behind to do your work. And according to this study, they work as well for kids as they do for adults. Twenty-four elementary school classes at three schools participated in this study. At each school, four classes utilized stand-biased desks, which allowed students to stand up or sit on a stool, and four classes utilized standard desks as a control. The researchers followed the same 193 students for two years, beginning with their third-grade year. The researchers weren't looking for weight loss in the kids. After all, you want your kid to put on some weight as they age, especially since they're growing taller. Instead, the researchers focused on BMI, the ratio between height and weight. They wanted to make sure that the students were gaining weight in the right proportion with their height. They found that the students who used the standing desks experienced a 3% drop in their BMIs, while those using the standard desks had a 2% increase. The differences seemed to apply across the board, meaning the intervention was effective across genders and racial groups. And it likely works for any age group. The researchers that conducted this study had previously found the children burn an average of 15% more calories when they stand in class than when they sit, so these results made sense. Adults will also burn more calories while standing than sitting, and while a standing desk isn't a substitute for a workout, using one is a good way to burn more calories during the day. A tall stool with a footrest can help you take pressure off your low back and give you a break from standing as needed.